After market license plate light wiring? 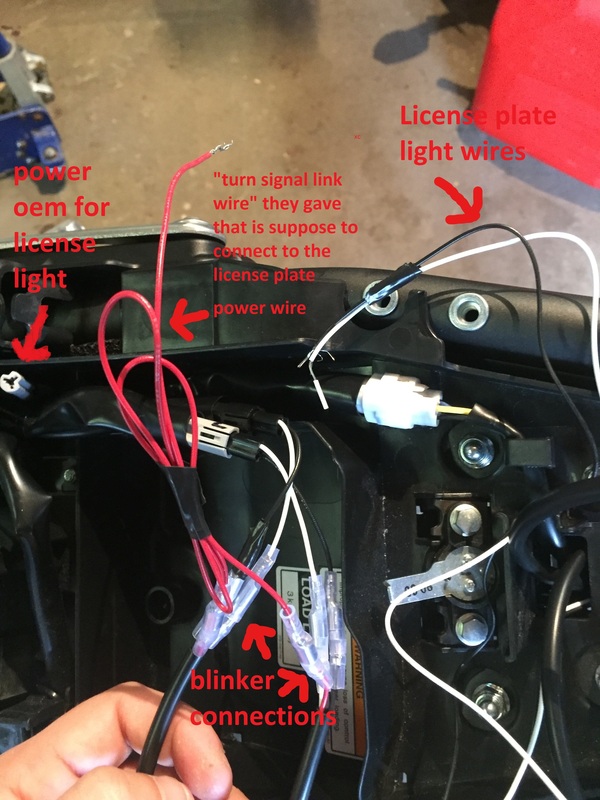 Thread: After market license plate light wiring? Hi everyone! So I have a question related to the License plate bracket/light I purchased and am wondering if anyone has some insight. I bought a graves fender eliminator with a license plate light and turn signals from 12 0'clocklabs. 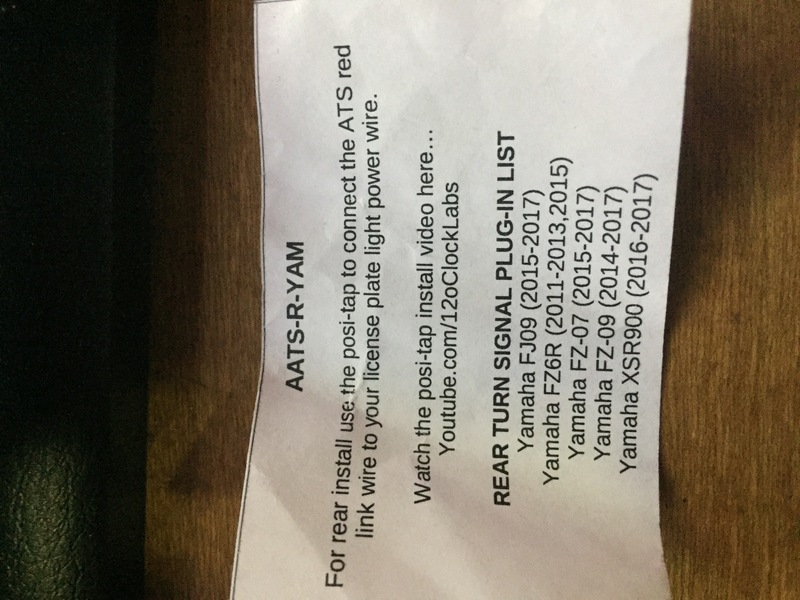 They don't give any specific instructions for wiring the license light, they do include a red wire with two male bullet connectors and a striped end plus a posi-tap connector - Which is the part I'm stuck on. Not sure how these are all supposed to connect to the license plate light positive/negative to give it power? Any help at all is much appreciated. I couldn't really find any other videos or post dealing with this specially so figured I would ask myself here. 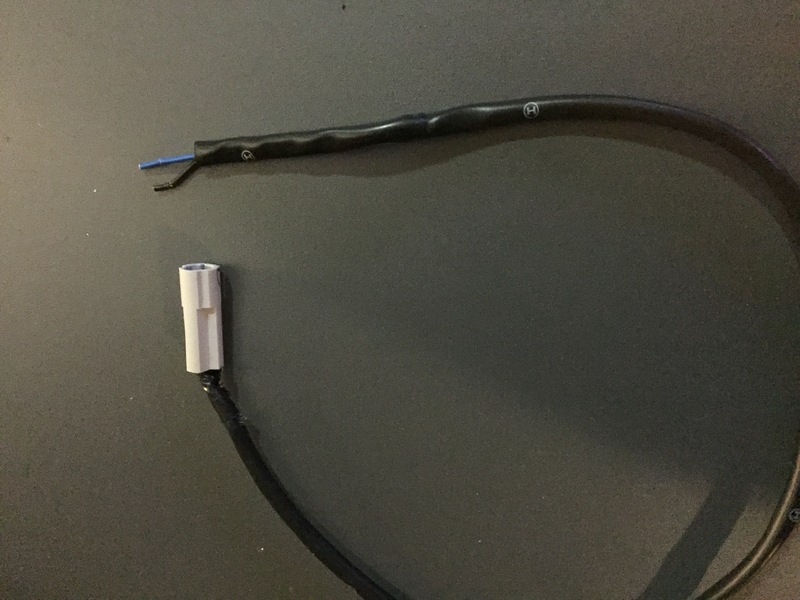 I don't know if different model years have different wiring for the license plate light, but on my 17 I unplugged the existing license plate light, then picked up a matching terminal connector from Cycle Terminal, connected it to the end of the new light wires and plugged directly into the original license plate light plug. As for which is positive and which is negative, I'm pretty sure I just poked the wires in one way, and if it was wrong I swapped them to figure it out. Probably not the best way to check polarity, but it worked for me. The connector is a JST JWPF 2 Pin Connector, but I don't remember if you need male or female for the new light. Mate please don’t use a posi tap connector, It’ll bugger the wiring when it shakes itself to hell and back. Standby, I’m just trying to find my pics when I did mine. You want a running light for the indicators at the rear connected to the tail light and front indicators to the Parker light? Could you send me a picture of what you want to connect exactly? Can you send me a pic of the original connector on the stock license plate wires? I do better with sketches if you have time for a sketch. Regardless though, It sounds like there are only 3 wires for two turn signals and the license plate LED; is that true? I understand your concern with the ground because I would expect at least a fourth wire as well. Some simple integrated tail lights (like my supermotos) have a single ground for either blinker, and the brake light. So it wouldn't surprise me if you have a fourth wire with a common ground for all three... But if you only have three wires for three devices; something isn't clicking for me i guess. Last edited by Springbok; 04-16-2019 at 03:58 PM. 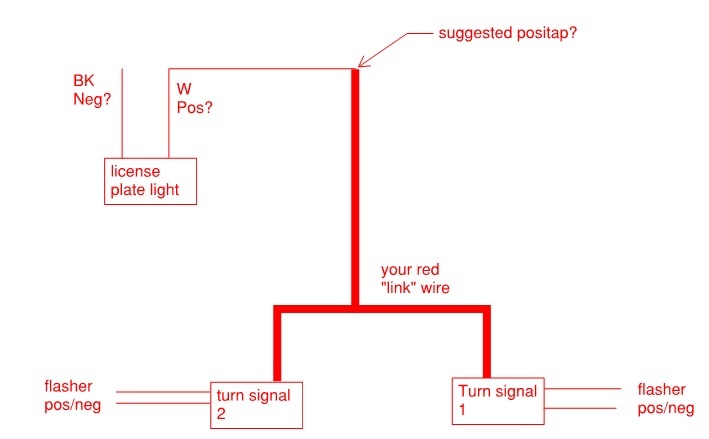 Here is a link to a wiring diagram of what I was talking about, but I meant for you to sketch what you're working with haha. I just looked at your photos again and I'm pretty sure I was WAY off previously. Looks like you have two wires for the license plate and then three wires for each turn signal; is that right? They do daytime running as well as flash? If so that makes much more sense (to me at least). Each of the three elements has it's own ground, a single common DC+ (constantly powering the DRLs and license plate light), and then each turn signal has a "flash" signal. EDIT: NOTE... 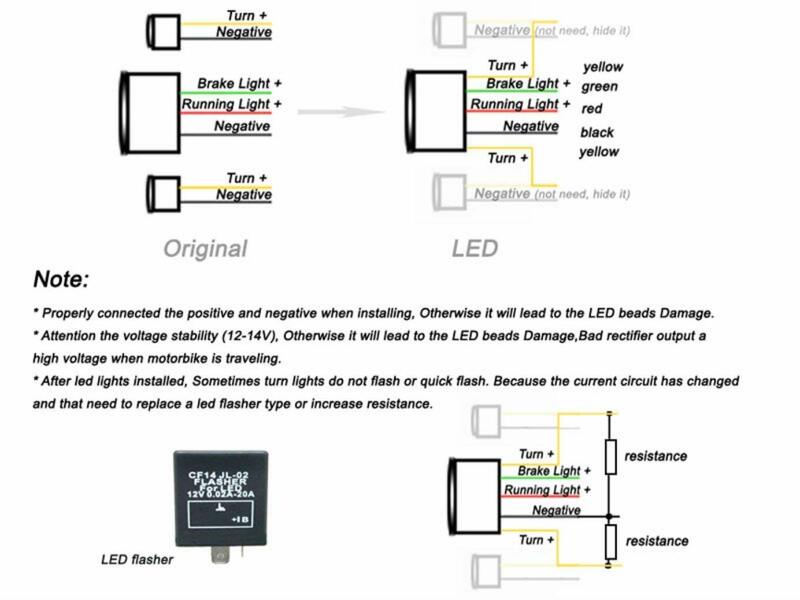 I do not know what the colors for the positive/negative are for the license plate, but I'm assuming that link wire should connect the DC+ (constant) to all three devices to get you your DRL on the blinkers as well as the license plate constantly powered. If you have a multimeter you can check for voltages and just tap the license plate wires to ensure you get it connected the right way since it won't work if connected backwards. Last edited by dcpppf; 04-17-2019 at 06:27 AM. After market exhaust/low end torque..